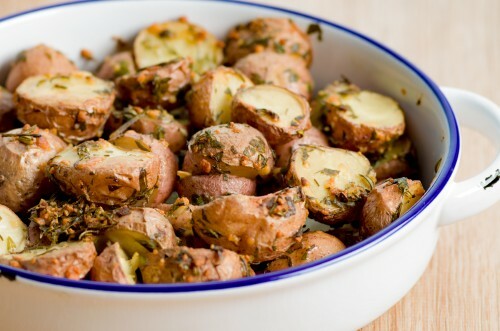 Parsley, with it light fresh taste, adds bright flavor to countless dishes. 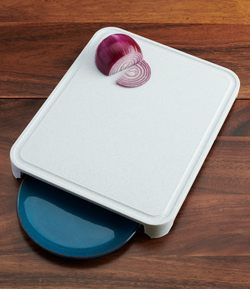 Chop some up to add flavor to everything from pastas and soups to salads and sauces. Chopping and mincing fresh parsley takes no time at all. 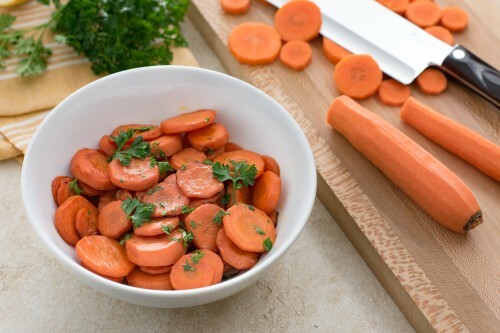 But, before you start, swish the batch of parsley in cold water to remove any dirt. Then, before cutting, make sure it’s completely dry. 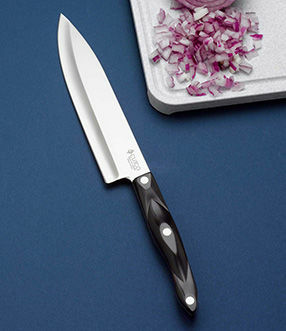 Choose a sharp knife with a slightly curved belly, like a 7-5/8" Petite Chef. 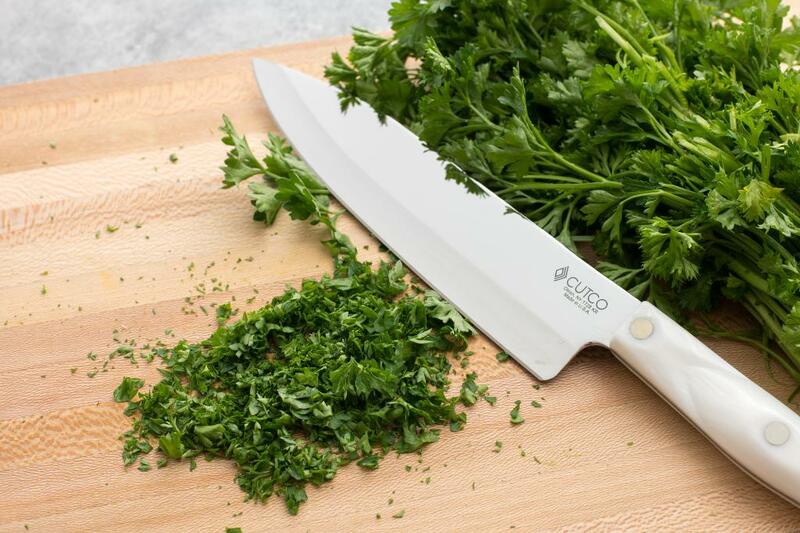 The sharp edge will make clean cuts without bruising the delicate parsley leaves and the slight curve of the blade allows the knife to rock over the herb when mincing it. Parsley’s slightly peppery taste makes it a nice finishing touch pasta dishes. 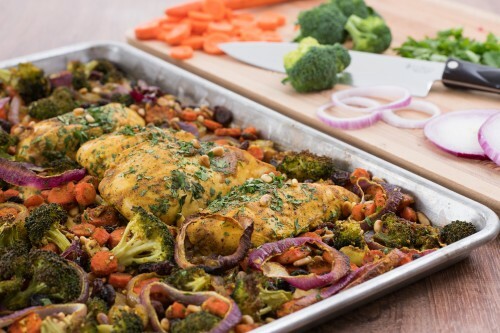 Chopped up with garlic and lemon zest, it creates a flavorful gremolata for meat or fish. Also, if you’re not a cilantro fan, parsley is a good substitute. Hold a bunch of parsley by the stem. 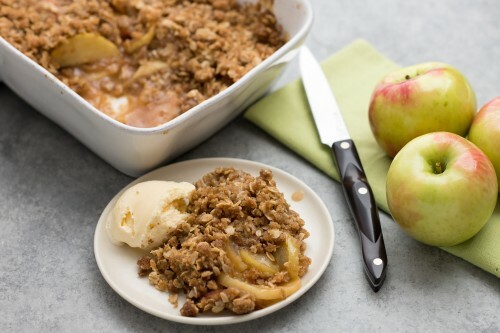 Using a 7-5/8" Petite Chef, angle the knife along the stem and shave off the leaves. Draw the leaves up into a pile. 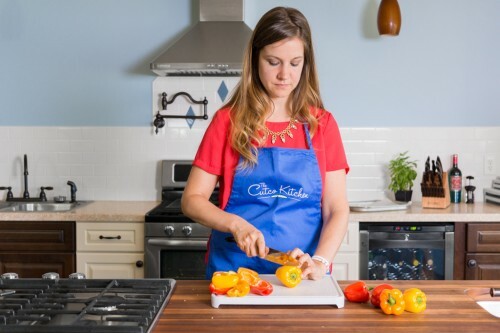 Rest the knife on the pile and rest your opposite hand on top of the knife with fingers extended away from the blade. 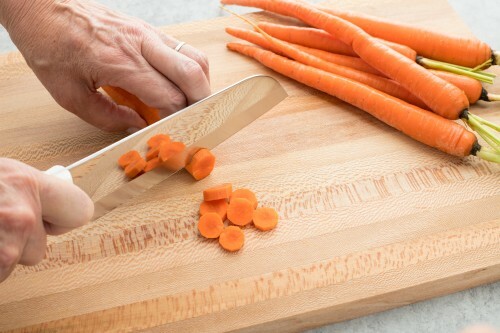 Keeping the tip of the knife in contact with the cutting board, use a rocking motion to move the knife back and forth across the pile. Keep gathering up the pile as you go along to cut the parsley to the desired size. Quick Tip: If you don’t have a knife handy, place the parsley in a tall glass. 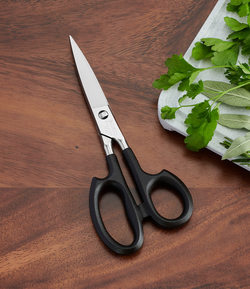 Insert kitchen shears, like Cutco Super Shears, to snip the herb in the glass.